Perennial of the Year 2015! 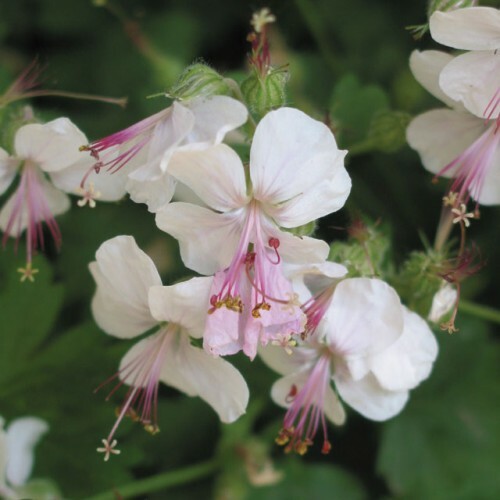 'Biokovo' is a low maintenance, ground covering plant produces that produces simple white flowers, suffused with soft pink, and lovely pink sepals. The flowers will continue to bloom sporadically all summer long. The fragrant green leaves are lovely as well and will have a reddish tint in the fall. 'Biokovo' is a naturally occurring hybrid which was discovered in the Biokova Mountains in Croatia. It is best grown as a ground cover but is also effective in border fronts or rock gardens.